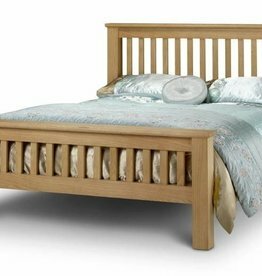 A range of beautifully handcrafted oak beds. 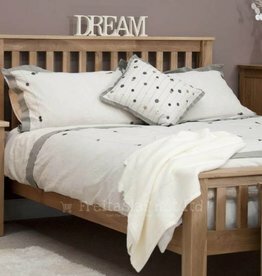 Choose from classic to shabby chic style. 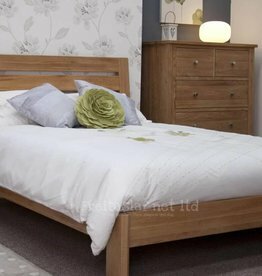 This beautifully designed bedroom range is distinctively coloured in light oak. 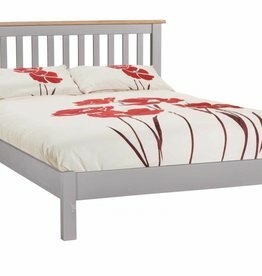 This chunky bed features a classic construction with a slatted headboard and matching low foot end. Available sizes: single, double, king and super king size. 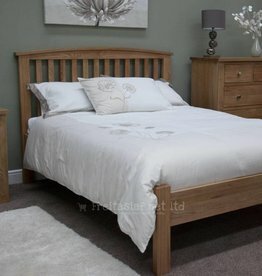 This bed from the Trend furniture range is made from Oak and is designed in a classic style. Browse Opus bedroom furniture collection. Amsterdam high foot end bed. 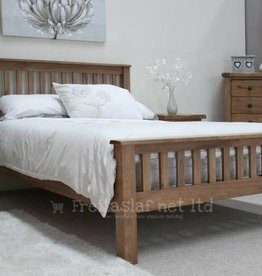 Modern SHAKER STYLE bed in solid light oak with oak veneers.